Heather Nyblade A.K.A. DJ Hey returns as a guest to chat about opportunities as a trance DJ since the first episode, along with future goals, and more! For more information: https://www.facebook.com/DJHeyOfficial & https://soundcloud.com/djhey. This episode brought to you by TEEF Powder 2.0 (https://teefpowder.com) & RINGR ( https://www.ringr.com/) with promo code ttwithbb. BB returns to her #SoapBox to explain reasons why Ignorance is NOT Bliss. This episode is brought to you by: RINGR (http://ringr.com/ttwithbb) with code ttwithbb & TEEF Powder 2.0 (https://www.teefpowder.com/) with code ttwithbb. Official Website & Email Address: https://www.trendingtopicswithbbpodcast.com/ & ttwithbbpod@gmail.com. Time to brace yourselves for a long and probably emotional post. For those who don't know, I am a huge electronic dance music fan primarily in trance, techno, and house. I have wanted to attend Miami Music Week and Ultra Music Festival for over 10 years. 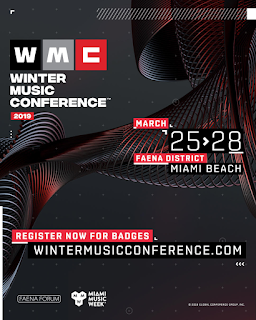 Then as I have been encouraged to follow my passion with this music, I decided suppressing my creative outlet as producer and DJ can not continue, thus my attendance at Winter Music Conference. 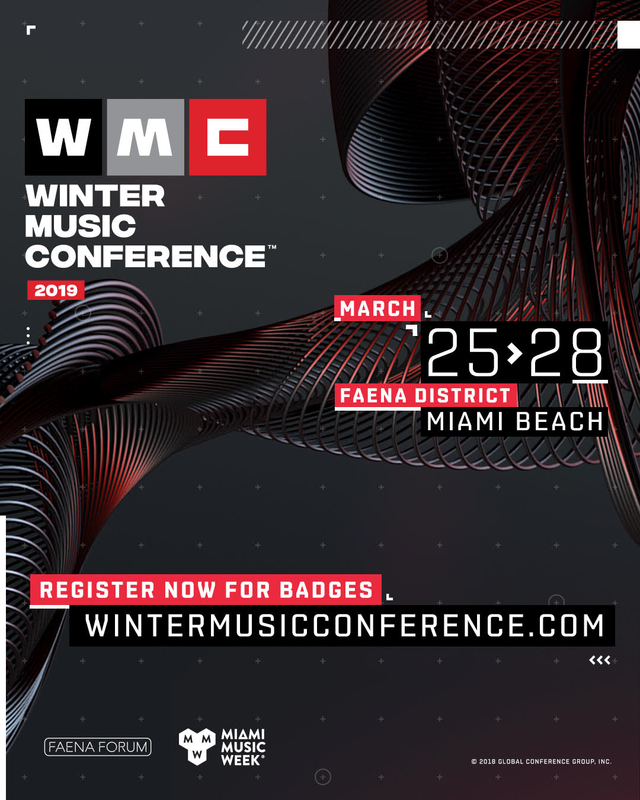 Considering Winter Music Conference was just acquired by Ultra (the company), the conference was set to be reborn. The conference has been a Miami staple for 35 years pre-dating Miami Music Week. Honestly, other than what the official website advertised in terms of keynote panels and speakers, I attended without any expectations. Well, it exceeded my expectations. Not only were each and every panel and education session I attended extremely informative, they were inspirational. I have told myself over and over not to pursue this due to "the saturation" within the industry along with the nastiness that comes with the politics (previously dealt with politics as marketing director for Phoenix Trance Family). However, my passion for what many are doing within this industry, and well feminism, sparked a little fire in me to learn. Another reason it was brilliant to attend this conference, was the networking opportunities, and being in the room with like minded individuals also pursuing their passion. PLEASE SEE MY INSTAGRAM FOR PHOTOS! Needless to say, after learning about equipment, producing in Abelton, and DJ-ing, I am ready to move forward. Be on the look out for my debut soon! Miami Music Week festivities began Tuesday night with Coldharbour x Blackhole x Perfecto night featuring many of my favorite producers and DJs. The line up did not disappoint with their sets, and hanging with my Coldharbour Family was the cherry on top. What a way to start the week! I did not expect to be included at the table with Markus Schulz and crew. Thank you so much for your hospitality! Huge shout out to Haliene & JES for their performances on the night! Next on the agenda Wednesday night was Aly & Fila Open to Close, unfortunately due to my unhealthy pre-gaming, I got sick shortly after arrival, and had to head back to hotel. I was told set was great even though it ended prior to scheduled time. For Thursday night, I had intended to attend Pryda (Eric Prydz), but due to illness, his event and ASOT performance at Ultra was cancelled. After contemplating seeing John Digweed, I ended back at the original plan of Above & Beyond at RC Cola Plant. Paavo from the band was on the last panel discussion at the conference I attended, and was so gracious, I felt obligated in some way. Best visual representation can be found on my Instagram! Now I have heard so many great things about Kristina Sky & Friends United We Groove party over the years, but WOW was it an amazing party on Friday. The rooftop of the Clevelander was great, and the sunset with beautiful views of the beach made it that much better. Yet the same night held Ferry Corsten's UNITY featuring a stacked line-up, so we made our way to that party. It was also a blast, and even though Ferry had just visited Scottsdale, Arizona 7 days prior, it was worth it. The Armada Invites party was actually a let down due to not feeling most of the music, however, it was great to meet up with a friend. The rest of the afternoon was spent chilling then pre-gaming before Wake Your Mind featuring Cosmic Gate, Grum, & OMAIR at the W Hotel Downtown. Needless to say, that party was AMAZING with beautiful views of the city and Ultra. It was so fun in fact, that Bossi of Cosmic Gate noticed how hard I was dancing and my energy. Again, please see my Instagram. Sunday afternoon/night was the Anjunbeats pool party at the Delano. Not going to lie, I mainly attended for Gabriel & Dresden's set as many others on the line-up were also on previously mentioned events. Upon completion of that set, I decided to leave for food (not priced too high) and rest up. My most anticipated event was Markus Schulz Open To Close as it averages 10 hours every year as a closing party. Well, it was 10 hours of mostly what is known as the Rabbit Hole. It is comprised of progressive and melodic techno (otherwise known as trance), and techno. If you haven't attended one of these you are missing out on one of the most musical/spiritual journeys a DJ can take you. It is worth the exhaustion and soreness tenfold! Time to head to my Instagram. That pretty much sums up the week of events attended, but I would be remiss if I didn't elaborate further on how this bucket-list trip affected my soul. Music has saved me more than a few times from suicide, and depression/anxiety. I pretty much listen to music while at my current day job for majority of my days not to mention my commutes. Granted I love podcasts as well, but music invigorates my soul on a level hard for me to explain. After feeling burnt out and stepping down as marketing director for Phoenix Trance Family recently, it freed me to pursue my true feelings toward this music. I have been feeling a void for quite some time, and did not know what would make me feel optimistic again. My family and friends not associated with electronic dance music have a hard time understanding my passion, the culture, and the drive. So, knowing there are plenty of people like myself willing to learn and harness this creativity was just so inspiring. Huge shout out to Kim, Jeffrey, McKenna, Amy, Nick, Juan, Angel, Mike, Mike, and everybody else I met up with or met for the first time!